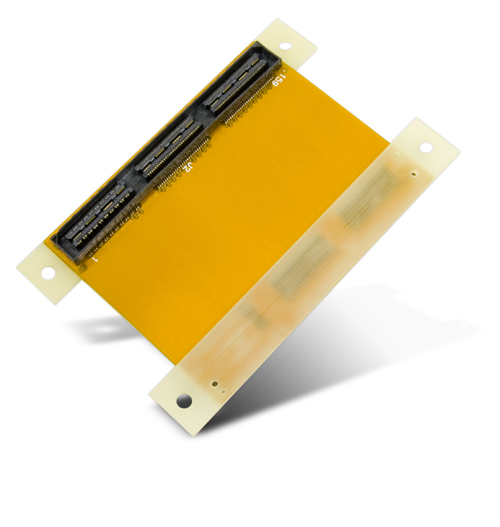 HSMC Flex Cable is equipped with two 160-pin HSMC connectors, one male and female each. It allows user to connect 2 HSMC-interfaced boards together. For example, a Cyclone III Starter Kit is connected to NEEK Upgrade Kit in a brick form by this cable as shown in the pictures below. *Please be acknowledged that the pins of HSMC connectors from 1 to 32 pins are left floating. 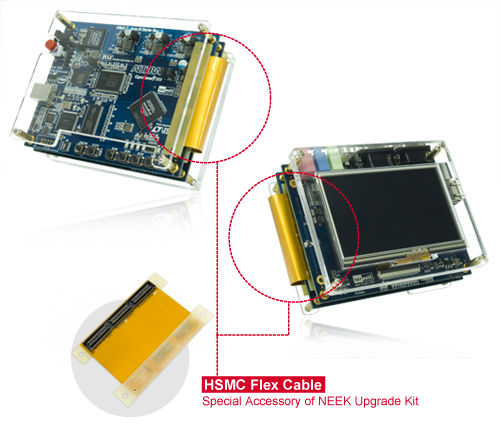 Please reference " NEEK Upgrade Kit " and the relevant documents before making the purchase.